Free, no obligation meeting with Paul within 24 hours of contacting us. Call or text today at 585-414-4455. 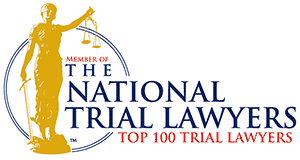 EXPERIENCE Paul has been selected as a SuperLawyer to the National Trial Lawyers Top 100 Trial Lawyers. Paul is also an NBTA (National Board of Trial Advocacy) Board Certified Trial Attorney — fewer than 4% of all practicing lawyers are certified by an ABA accredited or state sponsored certification board. LOCAL AND PERSONAL ATTENTION TO YOUR CASE Paul has been an active attorney and community leader in Monroe County for over 20 years. He served as an elected official, volunteer firefighter, television commentator, businessman and has been involved in a leadership role in many local charitable organizations. This experience has made a difference with his many clients over the years, and will make a difference in your case. HURT IN A FALL? CALL PAUL. * Verdicts, settlements and structured settlements achieved for our clients during the last eight years. Past results do not guarantee future outcomes.